Windows 10 is on the way to becoming a huge hit compared to Windows 8.1 as downloads continue to rocket in the early weeks following its official release. First reported by The Inquirer, barely two weeks into its life Microsoft's new OS has clocked up approximately 27 million installations and already has 3.78% of the market, if figures from StatCounter are to be believed. It's doing even more impressively in the UK with 7.56% of users already updated to Windows 10 and this is all to the detriment of older versions of the OS that didn't get close to hitting the heights of their newborn sibling. Back in April 2013, figures show that Windows 8 took a full six months to reach the amount of machines Windows 10 is already on, and the combined market share for Windows 8.x in July sat at a paltry 15.86% and looks sure to be passed by Windows 10 in due course. 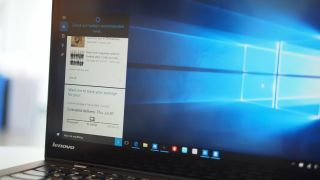 Windows 10 was released a little under two weeks ago to widespread praise and the numbers of users downloading the OS are expected to continue growing at quite a pace due to the fact that existing Windows 7 and 8.1 users have a year to take advantage of the freebie offer. Microsoft is also continuing to work on other versions of Windows 10 with the IoT Core version released earlier today, Windows 10 Mobile on the way soon, and Windows 10 heading onto the Xbox One in November.